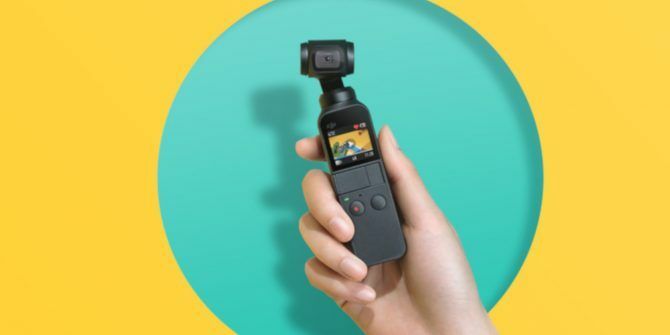 DJI, the company best known for its solid line of drones, has just released a really solid looking gimbal-stabilized camera called the Osmo Pocket. The tiny camera is available for pre-order right now, and it’s scheduled to ship in December, so you won’t have to wait too long to get your hands on one. The Osmo Pocket’s main selling point is its size. It barely tips the scale at only 116g, so you can carry it around extremely comfortably. It’s only 121.9mm tall, 28.6mm wide, and 36.9mm deep. In spite of the tiny size, the camera is literally packed with features. First and foremost, it’s equipped with a 3-axis gimbal, which means it’ll create incredibly stable footage regardless of how much you or the subject is moving around. The sensor on the camera is 1/2.3″. One of the most impressive things about this camera is its ability to capture 4K footage at 60fps. If you want silky smooth videos at high resolution, the Osmo Pocket will most certainly handle it. As for battery life, the Osmo Pocket promises to last about 140 minutes, but of course, your mileage may vary when it comes to how long it’ll last. Where Can You Buy the Osmo Pocket? The Osmo Pocket 3-Axis Stabilized handheld 4K camera is available for pre-order directly from DJI for $350. Best Buy also has it for the same price. Unfortunately for Amazon shoppers, the Pocket isn’t listed on there as of this writing. If you decide to snag one to create some awesome movies, make sure to check out our guide to creating more cinematic videos 7 Ways to Make Your Video Footage More Cinematic 7 Ways to Make Your Video Footage More Cinematic While none of these tricks will turn you into Quentin Tarantino overnight, combined they'll add up to make your video footage look more cinematic. Read More , which will help you create cooler footage than you ever imagined. Explore more about: Record Video.